On several occasions during Live and Let Die, Ian Fleming has James Bond drinking “Old Grandad” bourbon. He drank a quarter of a pint of Old Grandad with the steak and had two cups of very strong coffee. He stopped at the ‘Gulf Wind Bar and Snacks’ and ordered a double Old Grandad on the rocks. In Diamonds Are Forever, when Bond is in Las Vegas, and orders a Bourbon and Branch Water, he has Old Grandad as the whisky. The brand is now owned and distributed by the Beam Inc and distilled at the Jim Beam Plant in Clermont, Kentucky. Interestingly, it is the only brand acquired by Beam which still uses the original recipe. Other brands that Beam has bought have been changed to Beam’s own, but Old Grand-Dad should be the same as when Bond was drinking it. That link also indicates to me that it was the “Bonded” (no pun intended) version of Old-Grand-Dad that James Bond was drinking, as it notes Historically, Old Grand-Dad Bonded was the #1 bonded bourbon when bottled-in-bond meant something to bourbon drinkers. I don’t know about elsewhere, but by law in Tennessee, if a whiskey is “bottled in bond,” it is 100 proof, meaning 50% alcohol by volume. Many brands also market other proofs: 86, 80, 90 proof are usual. Wild Turkey is 101 proof, kind of a trademark difference, but not that you’d notice in the flavour. 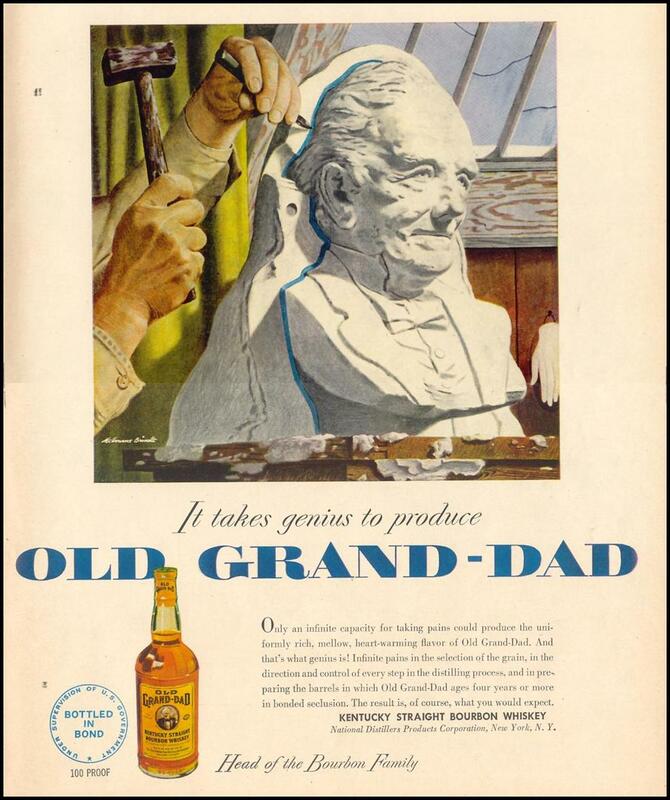 My go to bourbon is Wild Turkey 101 but my on deck bourbon is Old Grand Dad. After reading the book USS Indianapolis who delivered the atomic bomb to the Enola Gay, I have the upmost respect for President Truman who had the spine to end the war with Japan. 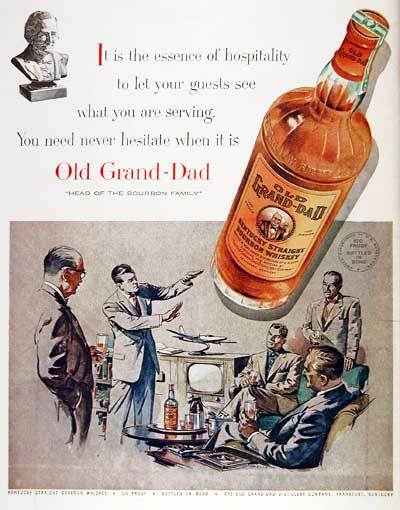 Truman drank Old Grand Dad every evening so I toast to him and our World War II heroes. Carry on!